Meet WOLVES, a band that is breaking barriers and pushing the boundaries of modern music with their infectious blend of genres. Consisting of Marc Avery, Sean Carney, and Rockwell Sands, the Los Angeles based trio have created their own unique sound, marrying pop sensibilities with bold rock’n’roll and gritty urban beats. 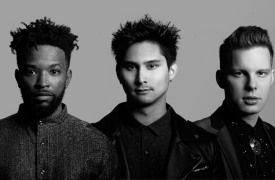 With each member hailing from various cultural backgrounds, WOLVES have crafted their own distinct style, shaping the sound of pop culture as we know it. “We wondered what it would be like if we took all these different influences we loved—artists like Michael Jackson, the Eagles, Coldplay—and rolled them all into one band today,” Sands muses. Their eclectic influences proved to be inspirational, with their debut single ‘Animal’ giving the trio their signature explosive sound. The band was named after the characteristics of wolves. These majestic animals which are bonded by an innate sense of the pack, move in harmony as one unit towards common goals. “I can’t think of a better way to describe us. The three of us are all about the good of the group; every day we try to embody that philosophy in our music and beyond.” remarks Avery. WOLVES highly anticipated single 'Freaky' is an anthem to inspire others to be brave and embrace who you are, to share your inner-most desires with the world and to live life to the fullest. Featuring slick indie pop grooves, 90’s reminiscent hip hop and hard-hitting rhythms, ‘Freaky’ is a song that you can’t help but dance to. "We love listening to music from back in the day and try to re-imagine what it would sound like today.” reveals Carney. From the primal energy of ‘Animal' to the seductive tones in ‘Freaky’, WOLVES have crafted a wildly diverse range of music built for pop radio and stadiums alike. Having already earned top spots on the Billboard charts and heavy rotation on Sirius XM Hits 1, the trio hopes to inspire audiences across the globe with their music, and to continue creating unforgettable songs that at once nod to the past and hurtle towards the future. ‘Freaky’ is set for release summer 2018. Phil Good is challenging the rigid expectation that a musician should fit into any one genre. Incorporating layered electronic production, soft indie vocals, dynamic instrumentals, and left-of-center pop beats, Phil Good is carving out a lane of his own with his distinct genre-transcending sound that he called “synths and feelings.” Bursting onto the scene at the end of 2016 with his debut “Sleeping In,” Phil Good has continued to prove himself with a string of intoxicating releases, such as “Growing Up,” “I Miss You,” and “Better,” which came out via Lowly Palace. Racking up millions of his streams and tastemaker praise, Pulse Recordings recently signed Phil Good for publishing. 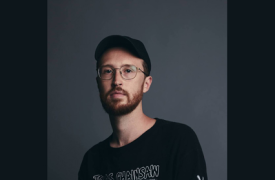 Producing, writing and performing all of his music, Phil Good is a multi-talented force that has led him to collaborate with the likes of Cheat Codes, Lauv, Carlie Hanson, Shallou, and many more. Last year he featured on the K?D track, “Lose Myself,” which hit the Billboard Dance Chart, and catapulted the Phil Good name into the musical zeitgeist. Jared Maldonado has been creating music long before the birth of Phil Good. Hailing from Portland, Oregon and now Los Angeles based, Maldonado grew up in a musical household listening to his dad’s Prince and Steely Dan records from a young age. He self-taught himself guitar at the age of 12 and by middle and in high school he formed bands with his friends. He continued to play and tour with a number of projects, but it wasn’t until 2017 when Phil Good was created and everything began to click into place for Maldonado. The self-admitted “bad pun” name is a glimpse into Phil Good’s personality. His signature hand drawn artwork and goofy yet honest social presence have Phil standing out from the masses in the overpopulated pop landscape. With more music, visuals and live shows on the way, Phil Good is only just getting started. 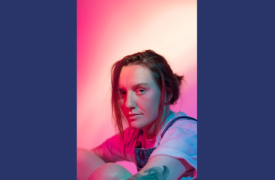 Rooted in R&B melodies and amplified pop sounds, Jackii Kennedy is pushing the boundaries of mainstream media by embodying her true artistic. An island girl who was born and raised in the Florida Keys, Jackii Kennedy traveled to the golden coast to pursue her passion. She writes her own music and directs all her own creative endeavors. As singer, songwriter, producer and instrumentalist, she is ready to reinvent pop narratives in the music industry. Jackii Kennedy learned early in life that she is uniquely influenced by colors and sounds and turned to music as a creative outlet. She often adds fluid funk sounds, kaleidoscopic hip-hop vibes and retro-futuristic reggae harmonies into her songs as a reflection of her life experiences and perspectives. She aims to transform her music into a voice for her generation. Jackii Kennedy released her first single ‘Playground’ in 2016 and is scheduled to drop her debut EP Word To The Universe later this year.